Click Browse. 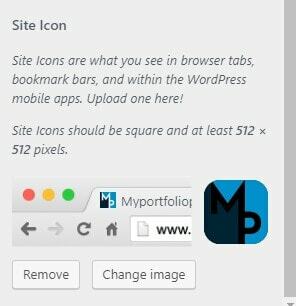 Locate My Portfolio Pro.zip theme in your computer. 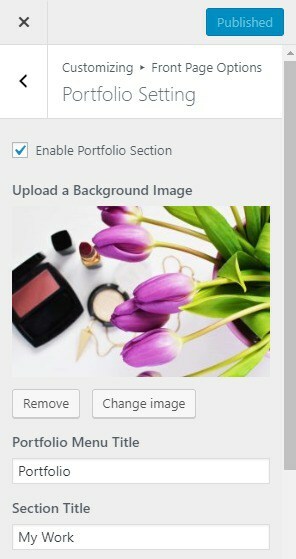 Select My Portfolio Pro.zip and click Install Now. Unzip My Portfolio Pro.zip to your Desktop. 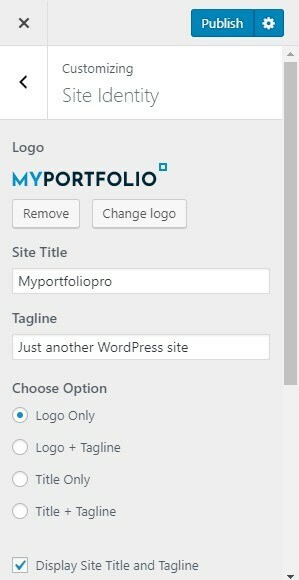 Using an FTP client to access your host web server, go to /wp-content/themes/ and upload your new copy of My Portfolio Pro theme. Site Identity and Primary Menu Section: The Site Identity section is setup from Admin Panel / Appearance / Customize / Site Identity and for Primary Menu section you need to create a menu and assign its location to Primary Menu going to Admin Panel / Appearance / Customize / Menus / Menu Location.Refer below Site Identity? Menu?for more detail. 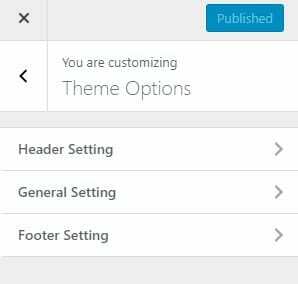 Banner Setting and progress bar : This section is setup Customize .So you need to go to Admin Panel / Appearance / Customize / Front Page Options /Banner Setting and set the Banner Refer below Banner setting? for more detail. 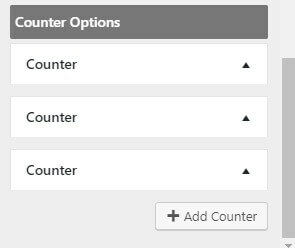 About Setting and counter : This section is setup Customize .So you need to go to Admin Panel / Appearance / Customize / Front Page Options /About Setting and set the about us and counter. Refer below About setting? for more detail. 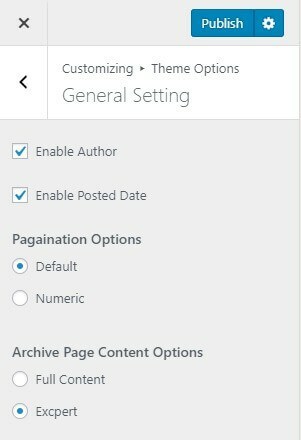 Service Setting : This section is setup Customize .So you need to go to Admin Panel / Appearance / Customize / Front Page Options /Service Setting and set the service section. Refer below Service setting? for more detail. 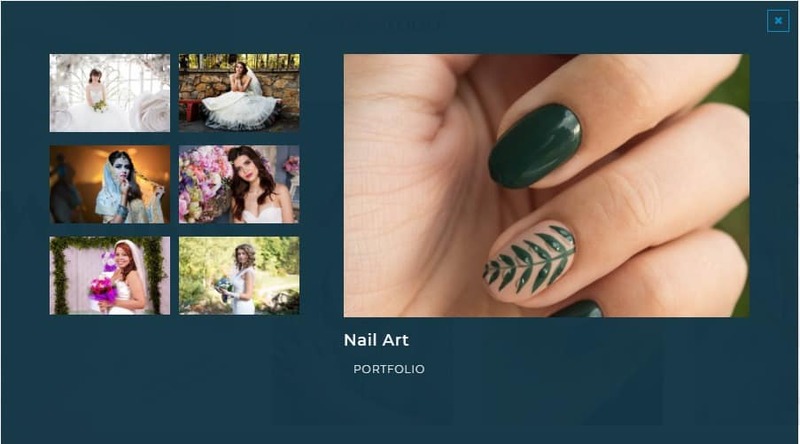 Portfolio Setting : This section is setup Customize .So you need to go to Admin Panel / Appearance / Customize / Front Page Options /Portfolio Setting and set the portfolio. Refer below Portfolio setting? for more detail. 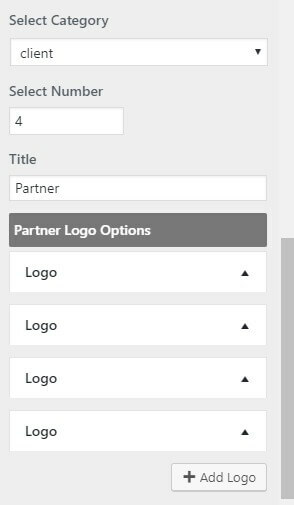 Testimonial Setting and partner : This section is setup Customize .So you need to go to Admin Panel / Appearance / Customize / Front Page Options /Testimonial Setting and set the testimonial and partner. Refer below testimonial setting? for more detail. 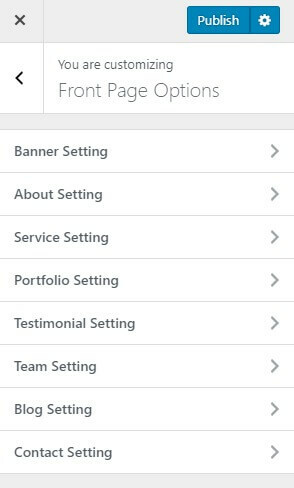 Team Setting : This section is setup Customize .So you need to go to Admin Panel / Appearance / Customize / Front Page Options /Team Setting and set the team. 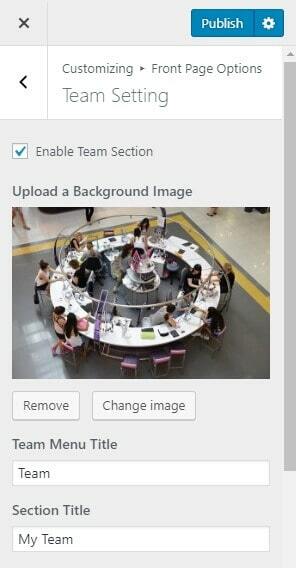 Refer below Team setting? for more detail. 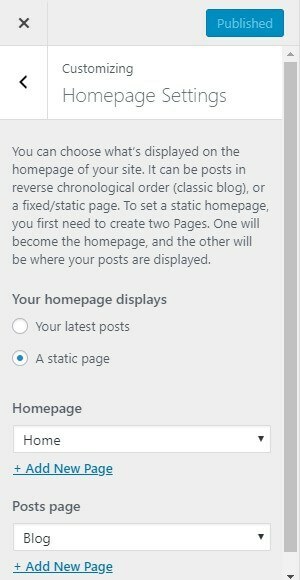 Blog Setting : This section is setup Customize .So you need to go to Admin Panel / Appearance / Customize / Front Page Options /Blog Setting and set the blog. 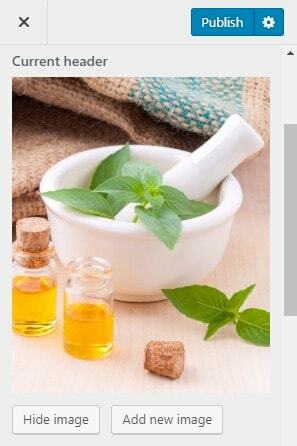 Refer below Blog setting? for more detail. 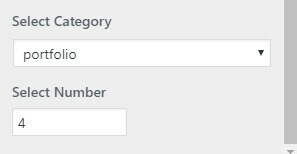 contact Setting : This section is setup Customize .So you need to go to Admin Panel / Appearance / Customize / Front Page Options /contact Setting and set the contact. 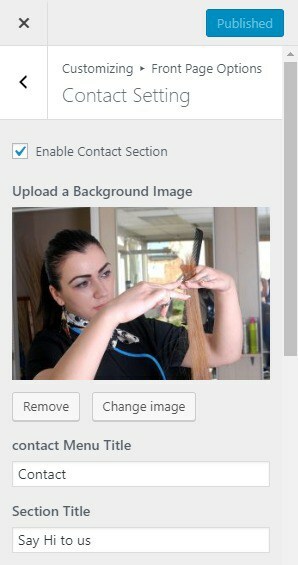 Refer below contact setting? for more detail. 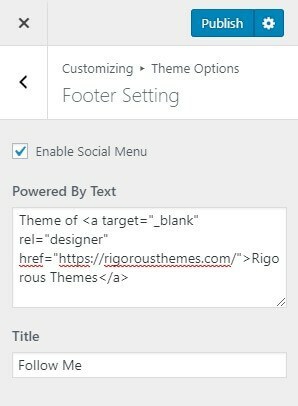 Footer Setting : This section is setup theme options .So you need to go to Admin Panel / Appearance / Customize / theme Options /Footer Setting and set the copy rite part enable social menu and for Social Menu section you need to create a menu and assign its location to Social Menu going to Admin Panel / Appearance / Customize / Menus / Menu Location. 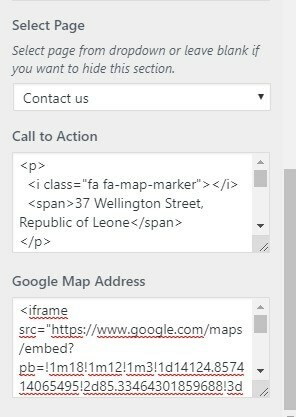 Refer below Site Identity? Menu? for more detail. Powered By Text:This changes the copyright text and Powered By Text of Copyright content. 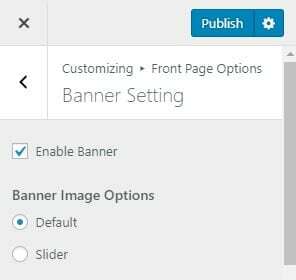 Default: This option help you to set default banner image. 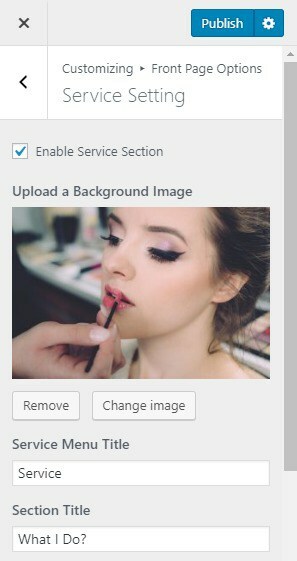 Slider: This option help you to set slider banner image. 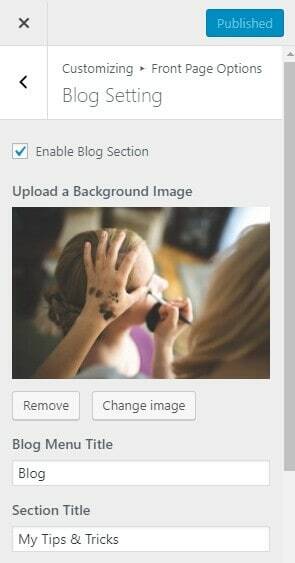 Upload a Background Image: This option help you to set background image for your site. 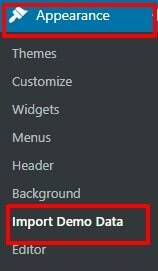 Sub Title:This option allows you to set SubTitle. 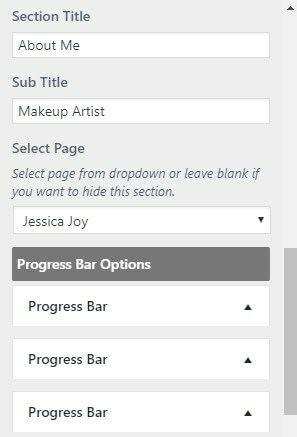 Progress Bar Layout:This option allows you to set Progress bar layout. 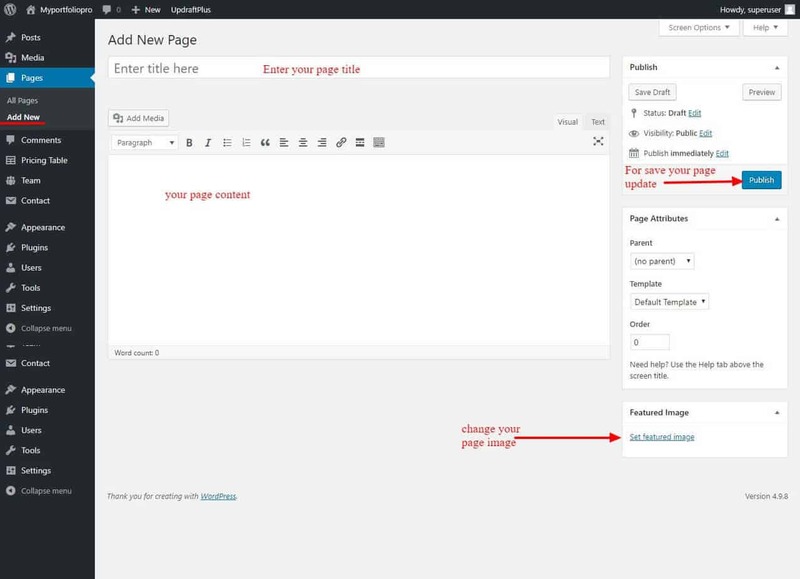 Full Width: This option allows you to set full width progress bar. 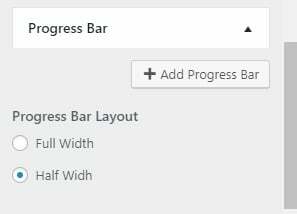 Half Width:This option allows you to set Half width progress bar. 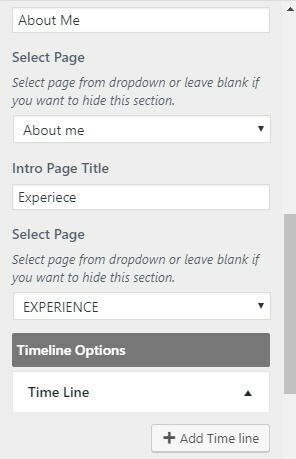 Timeline Options:This option allows you to set Timeline options. 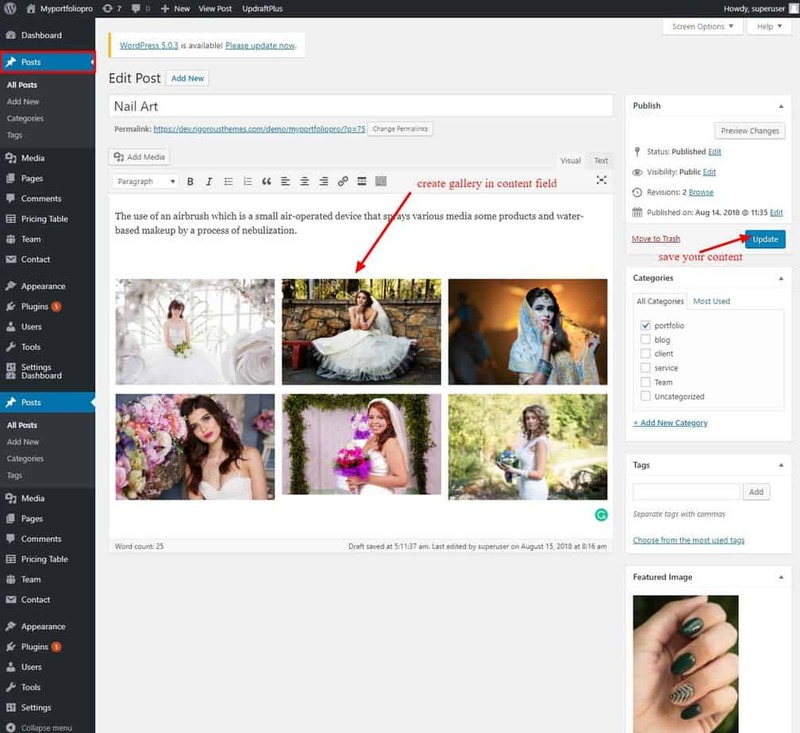 Portfolio custom gallery: To obtain this custom gallery you have to add image gallery in you post content. 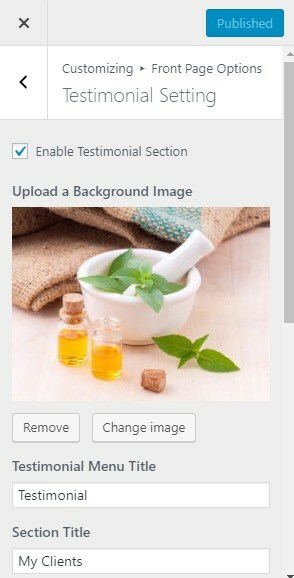 After saving your content you will get this popup gallery. Google Map Address: You can put your google map iframe on Here. Select Body Font Family:This option help you to set font family for body of your site. Body Font Size: This option help you to set font size for body of your site. 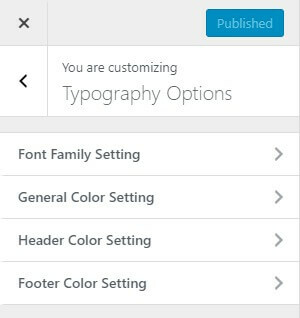 Select Menu Font Family:This option help you to set font family for menu of your site. 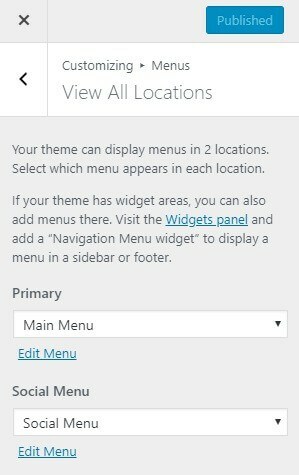 Menu Font Size:This option help you to set font size for menu of your site. Section Title Font Family:This option help you to set font family for section title of your site. 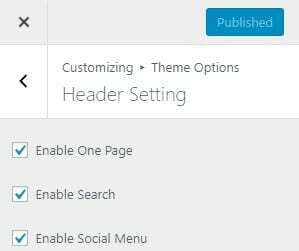 Section Title Font Size:This option help you to set font size for section title of your site. Select Heading Tag Font Family:This option help you to set font family for heading of your site. H1 Tag Font Size:This option help you to set font size for heading of your site. Select Paragraph Font Family:This option help you to set font family for paragraph of your site. 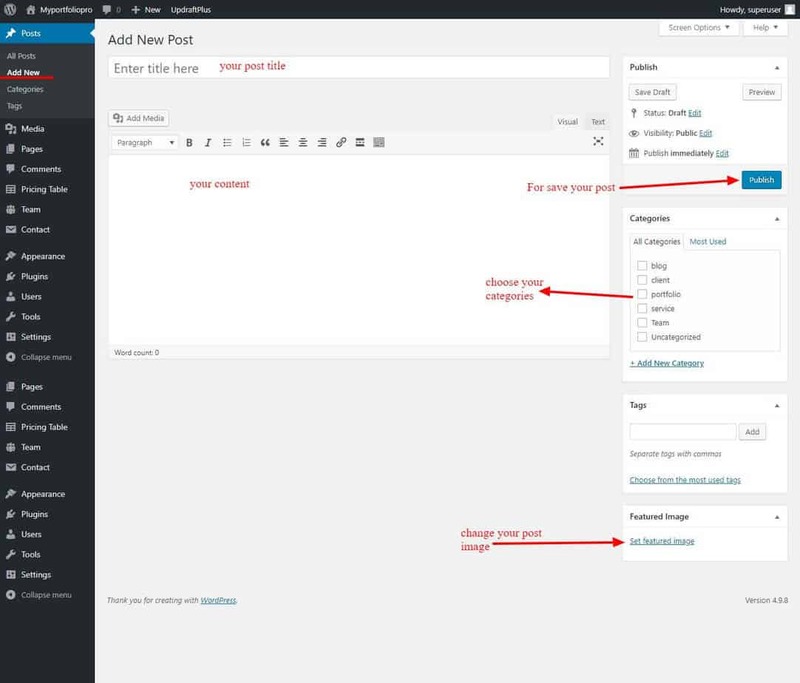 Paragraph Font Size:This option help you to set font size for paragraph of your site. 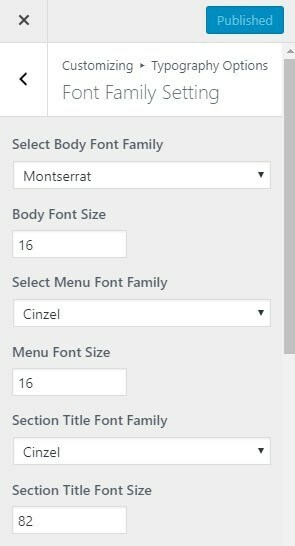 Select Entry meta Font Family:This option help you to set font family for entry meta of your site. 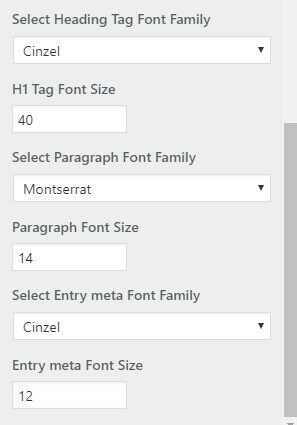 Entry meta Font Size:This option help you to set font size for entry meta of your site. Primary Color: This option help you to set Primary Color. Secondary Color: This option help you to set Secondary Color. Hover Color: This option help you to set Hover Color. 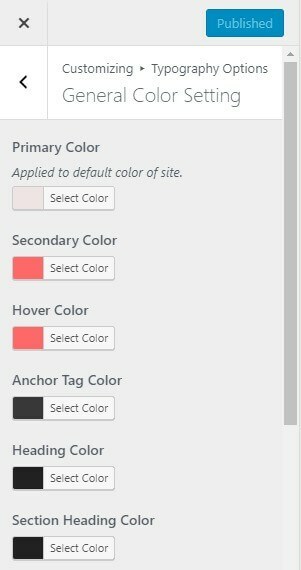 Anchor Tag Color: This option help you to set Anchor Tag Color. Heading Color: This option help you to set Heading Color. 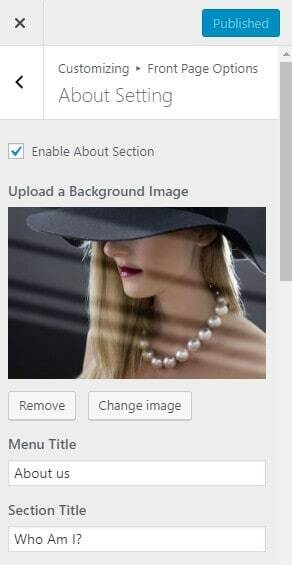 Section Heading Color: This option help you to set Section Heading Color. 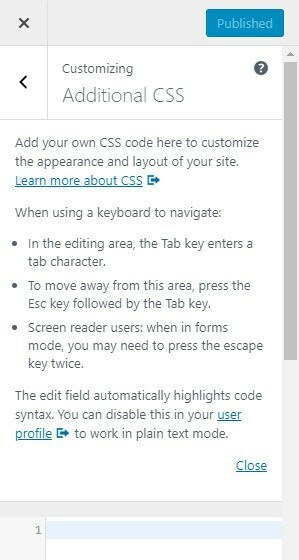 Paragraph Color: This option help you to set Paragraph Color. 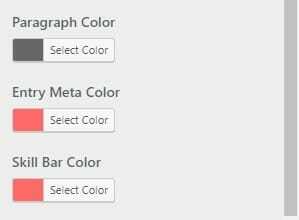 Entry Meta Color: This option help you to set Entry Meta Color. Skill Bar Color: This option help you to set Skill Bar Color. Header Background Color: This option help you to set Header background Color. 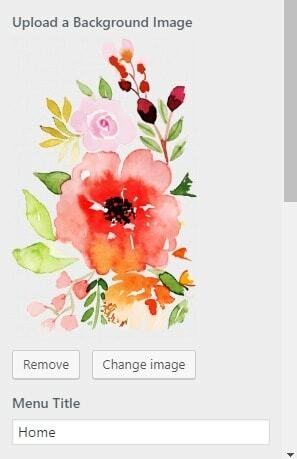 Header Icon Color: This option help you to set Header icon Color. 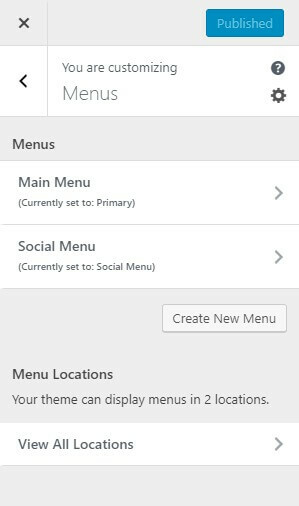 Menu Color: This option help you to set Menu Color. Active Menu Color: This option help you to set Active Menu Color. 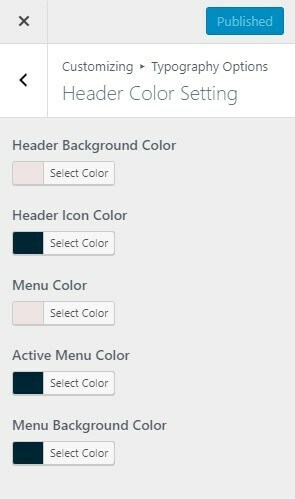 Menu Background Color: This option help you to set Menu Background Color. 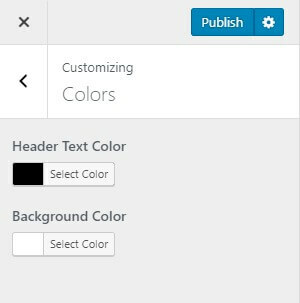 Footer Background Color: This option help you to set Footer background Color. 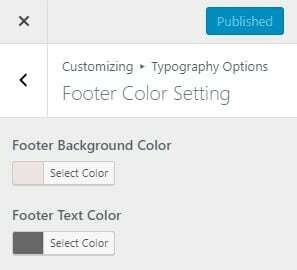 Footer Text Color: This option help you to set Footer Text Color. 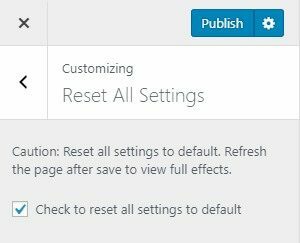 Check to reset all settings to default: Check the Check to reset all settings to default and refresh the page to reset all theme settings to default.